This product is a liquid feed supplement of poultry designed to provide additional mineral salts and other trace elements needed by poultry birds. 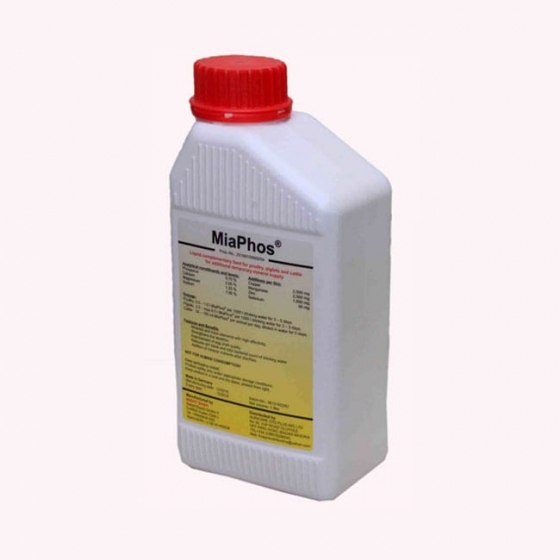 Miaphos is advantageous for poultry in that it allows for optimal mineralization of the skeleton ensuring stronger bone material which is an important attribute needed especially in laying birds, breeders and turkey. The additional phosphorus and calcium help in improving eggshell quality. It provides additional mineral nutrients essential for the recovery of birds from stressful conditions.